What’s in your pot of gold? Sure, for the storied leprechauns that haunt the month of March, a pot of gold is usually brimming with piles of golden coins. But a pot of gold can also be so much more—a passion for art, the warm feeling of helping others, or even the happiness we feel on a bright and sunny day. And whether your riches consist of the smiles of your children, your bounty of dependable friends, or the loving support of your family, the true pot of gold is most often not about the money in our pockets, but rather the people who surround us at the end of the day. 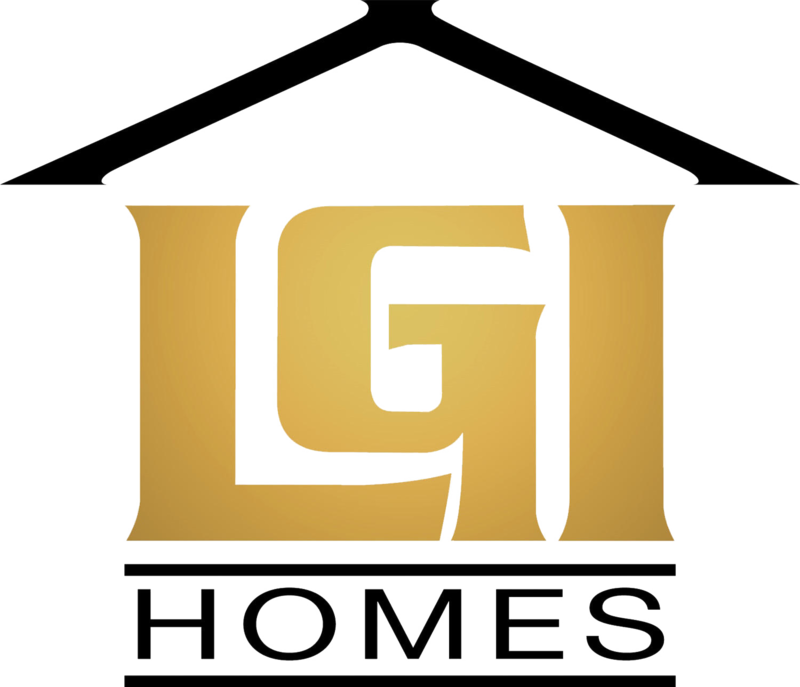 LGI Homes knows and understands the importance of family, which is why we are thinking of you and yours when we build each and every home. And while for some the rainbow may end on a tropical beach in Hawaii, for many of us it shines down into the home, the genuine heart of every family. Made of much more than a wooden frame and plaster walls, a home is a center of experience and existence—the place we find the most comfort and peace, the place to which we happily return at the end of each day. Our home is our anchor in the world, and is where family and friends gather for life’s most important or most enjoyable moments. The humble house is not, in short, just a place to live, but the place where we keep our greatest riches: our loved ones and the memories we share together. This important role of the home in all of our lives is why LGI Homes has focused so intently on the construction of quality family homes. Over the years, we’ve worked to make the security, warmth and happiness of homeownership available to all—and our hardwork has paid off. Thousands of homeowners are now enjoying their lives in beautiful, brand-new homes that offer space, convenience, and optimal locations, allowing them to enjoy the company of family and friends both at home and at nearby premier destinations—all at affordable prices that don’t threaten their ability to gain riches of the more monetary variety! And we haven’t forgotten the greater context to our personal riches and happiness: the community in which we live. Our efforts don’t end with the last coat of paint on each home, but instead extend to the construction of community amenities that foster a sense of neighborhood, give our residents ample opportunity to lead active, engaged lives with their loved ones and friends. From fishing on a 3-acre community lake with your buddy, to watching the kids run and play on the playground, LGI Homes has taken the time to think through not just where you live, but how, and our thoughtful neighborhoods reflect an emphasis upon time spent together, as a family, as a group of friends, or as an entire community. So as spring approaches, and a new year begins to lose its first blush, ask yourself: what’s in your pot of gold? And where does it reside? Will 2012 be the same as last, living out your memories in a temporary abode owned by someone else? Or will it be the year that you make the move toward owning your own house, and finally bring your treasures home? 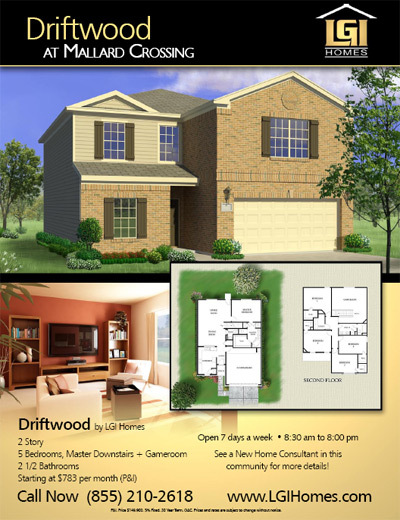 New 3- to 5-bed Home in North Dallas, Texas Starting at Just $601 per Month! 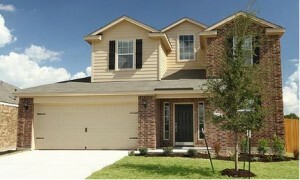 Brand new LGI Homes’ house for sale in North Dallas, Texas with 3-5 beds and 2 car Garages. 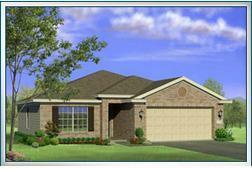 This new home from LGI features 3-5 bedrooms and 2-car Garages all for starts at $601 per month. Uncertainty and anxiety over the purchase of a home is normal even in the best of economic times, and considering the wild economic ride we’ve all been on over the past five years, it’s no wonder that many buyers—particularly first-time buyers—are still feeling a bit skittish. To these thoughtful folks, we offer the following arguments as to why buying a home right now isn’t just a good idea, but a great one… and one that you’ll be grateful for making for years to come. 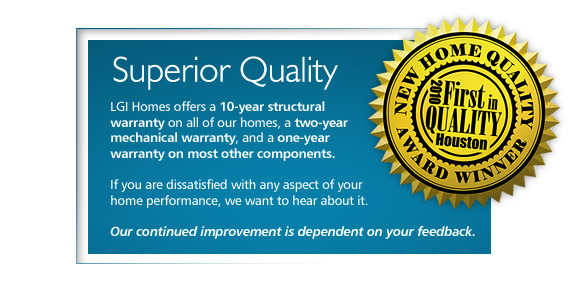 With so many compelling reasons to buy, what are you waiting for? The recovery isn’t just coming, it’s already here. While the headlines are often still dreary, and there are problems left to be resolved, the truth is that the recovery in housing is already well underway. 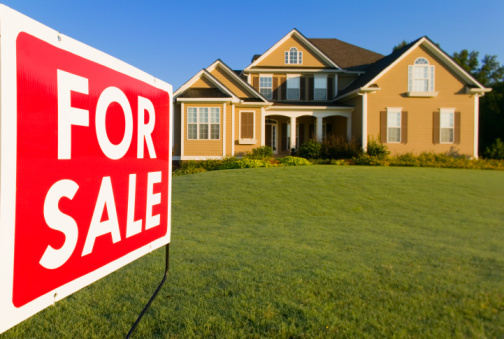 Except for some of the harshest markets, home prices have stabilized or begun to rise, due in part to increases in hiring and the return of employment security. 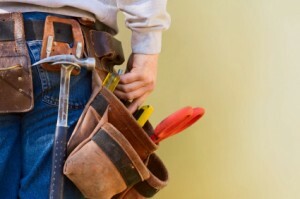 In conjunction with record-low interest rates and exceptional home affordability, this job security is letting people move on with their lives, and into homeownership, in ways that weren’t possible just a few years ago. Other buyers are making their move. 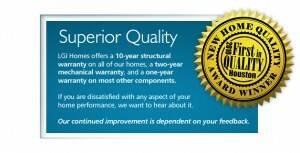 This one we can personally vouch for: in 2011, we saw an increase of over 40 percent in our annual sales. We placed 627 households into their very own brand-new homes in 2011—all buyers who cashed in on ideal borrowing and pricing terms, and have begun their journey as owners. As optimism about the economy grows and home prices begin to rise, these lucky owners will know that they locked in their purchases at the optimum point in the market, maximizing their value and increasing their ability to build equity in their home. How long can you wait? While the recession dragged on, many of us felt like our lives were at a standstill. We trod carefully, ensuring that we maintained our financial health and we were reluctant to make big decisions or big commitments in a time of so much uncertainty. Five years later, we may still be feeling the same hesitancy, but in truth our lives have already moved on. Perhaps you were married, had children, or are ready to downsize into a smaller home after the kids leaving the nest. How long can you continue to hold on to the realities of years ago, even as your new reality has changed? And how long will the home or apartment that fit your life five years ago satisfy your needs and desires today? This is a once-in-a-lifetime opportunity. We’ve probably all been regaled with a story from our parents or grandparents about a beneficial purchase they made—and also about one they failed to make. We’ve heard how they could have bought a home in what is now a highly-desirable and expensive community, for prices that were low, even in their day. They sigh and shake their heads at the missed opportunity, and warn you to keep your eye out, and not make the same sort of mistake. With home affordability at all-time highs, and interest-rates at all time lows, it’s apparent that the time is not only ripe for buying a home, but ideal. It’s a once-in-a-lifetime event, that won’t last forever, and can easily be missed. To make the move when unsure requires a special sort of courage, the kind that your elders wished you to summon up when the time was right. Now, it seems, is that time. To buy or not to buy? The answer is up to you.